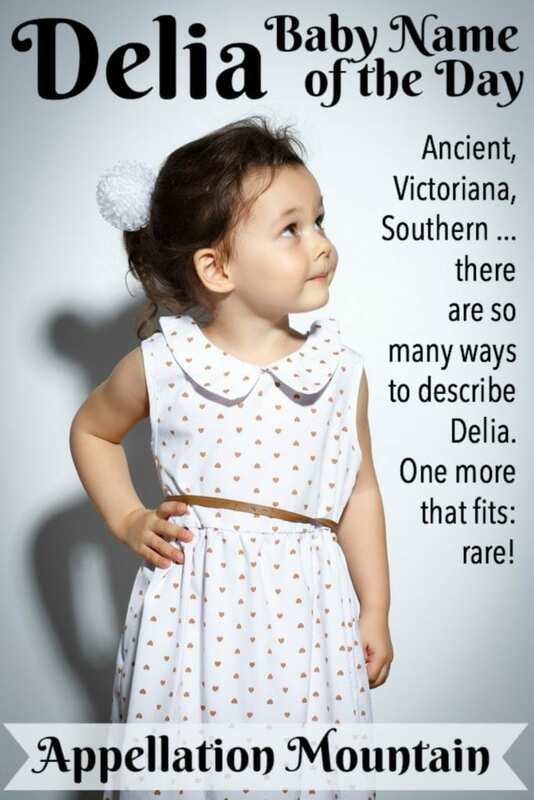 Delia feels vintage and Victorian, but this name boasts ancient roots. Thanks to Haley and Caroline for suggesting Delia as our Baby Name of the Day. Think all those kids called Savannah and Brooklyn signal a new trend? We’ve been naming ourselves for places for millennia. The island of Delos lies in the Aegean Sea. It means brilliant. Myth made Delos the birthplace of the twins Artemis and Apollo. Temples were built in their honor, and today the island and its ruins appear on UNESCO’s World Heritage List. Artemis sometimes answered to Delia, a reference to her birthplace. First century poet Tibullus composed works dedicated to Delia, too, but it appears to be a pseudonym for a (possibly married) woman he loved. During the Renaissance, poet Samuel Daniel chose the ancient name for his idealized beloved. At some point, the name caught on. US Social Security birth records begin in 1880, when the name ranked its highest ever. It remained in the US Top 200 for another fifteen years. Edith Wharton gave the name to a character. So did James Joyce. During the nineteenth and early twentieth centuries, we find British composer Derbyshire, Italian ballerina Scalla, and Argentine actress Garces. The variety suggests sparing, but steady and global use! Then the name fell and fell and fell, and left the Top 1000 entirely after 2007. A song gives us one possible reason. Johnny Cash recorded “Delia’s Gone.” He even made a video for the song in 1994, featuring Kate Moss. He wasn’t the first, either. Versions of the song have circulated for decades, with everyone from Cash to Bob Dylan to Pete Seeger covering it in one form or another. You would expect a song might boost a name, especially a name with this much appeal. But the lyrics tell a tragic tale. On Christmas Day 1900, a teenaged Moses Houston shot and killed his young girlfriend. Her name? Delia Green. Houston spent his life in a Georgia prison. His beloved became immortal. As a result, the name feels sweetly Southern, but also, perhaps, a bit mournful. An online store by the name, styled dELiA*s. It used to exist in American shopping malls; now it’s online-only. Writer Delia Ephron is sister to Nora, Amy, and Hallie. She’s worked on scripts for movies like You’ve Got Mail and Bewitched. VC Andrews’ estate used the name for a character. She’s a Mexican teenager who moves in with her wealthy American relatives following her mother’s tragic death. More heartache follows. Characters by the name have appeared on Everwood, The Ghost Whisperer, and Call the Midwife. On sound alone, this name feels ready for revival. Amelia is poised just outside the current US Top Ten. Cordelia started a comeback in just the last few years, with Ophelia right behind. In between, we find plenty of ends-with-lia names in use for girls. Natalia or Aurelia, anyone? And yet the numbers show Delia stuck in limbo. In 2015, 196 girls received the name. That’s more than the 177 born in 2013, but fewer than the 249 in 2011. The name see-saws – up a little, and then down. In other words? One good push could put Delia back on parents’ shortlists. Until we get that popular fictional character or celebrity baby by the name, this remains a simple, sweet, and under-the-radar option for a daughter. Does the song bother you? Or do you think Delia qualifies as a neglected gem? 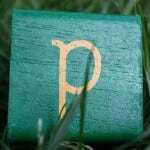 Originally published on November 18, 2010, this post was revised and republished on May 3, 2017. I’ve reached 60 and have been the only Delia I’ve ever known until 2 moths ago! I love the name I was given, it’s made me feel special all my life! I love that you recently republished the name Delia! I used to read the previous entry often. We named our daughter this one year ago and get so many compliments. The song has not been mentioned by anyone yet even though I did my research and used it anyway. It does get mistaken on paper as Delilah sometimes. Her middle name is Pearl. Such a gorgeous name, Brooke! Delia is gorgeous! I pronounce it DEEL-ya. I’m not sure if I’d use it, but I love it. Hi, my name is Delia (deal-ee-uh) and I love my name. Always getting compliments of how pretty and graceful it sounds. I love how no one has the name anymore. It makes it unique. 🙂 my full name is Delia Jane! Way too late to the party I know, but it looks like I am alone in wanting to pronounce it Duh-Lye-A? Delia feels very sweet and sugary, probably because it reminds me of delicious and delight. I like Delia, as a nickname for Cordelia. I don’t know of I would use it as a name all alone, though. I would rather use Cordelia or Adelia, which means I wouldn’t be able to use Delia. I also like Celia (after my step-grandma Celie) or Melia (as a nickname for Emelia, after my great-aunt). “controversial American Shakespeare scholar” ? Now that I have to google. She’s fascinating, Jillian! Apparently, she was one of the first scholars to suggest that Shakespeare might have had help writing his plays. I have a new widget that searches for photos based on what I type, and her picture came up. Here’s a longer bio. I know — me, too! I just went and read the wikipedia article about her — fascinating! Oooh, and I just saw that Delos/Delia is derived from the word from brilliant. That would really work perfectly with Phoebe, which comes from bright/shining, wouldn’t it? Food for thought. It sounds like Delia would be the perfect name for you, Caroline! Phoebe and Delia are lovely together. As for whether I’d use it: Overall, I find Delia’s sound very pretty, but she seems kind of light in comparison to the other names I like. Funny, because I love Celia. It must just be that I don’t have any great namesakes in my experience of things to link her to. (I know there are some, but there aren’t any I’ve come across in my reading and studies, and I’ve realized I tend to like names with namesakes that I’VE been the one to discover — they mean more to me personally that way.) Because she doesn’t carry the weight of personal literary and historical references in my mind, she comes off to me as just a pretty sound. I like Delia Eugenie, and agree with Emmy Jo. Out of all the names in the world, I might not choose that combo. But it is hard to resist the meaning! The comment about Delia sounding like a maid’s name probably relates to Bedelia/Bridget and stereotypes about Irish immigrants. Thanks for the write-up on Delia, Abby! I sort of evolved from Celia to Delia when I heard Cecilia picking up speed. And when I found out that Delia is tied to the Greek goddess of the moon, it seemed like a natural sister to Phoebe. I say it DEEL-ya, which I think is probably common to my southern accent. We are still debating Delia vs. Blythe vs. Clementine. The only drawback is that we want to use Eugenie as a mn mash-up of DH’s grandparents Eugene and Jeannie, and Delia Eugenie doesn’t seem to flow quite right. Incidentally, my mother said Delia sounds like ‘a maid’s name.’ Nice. For what it’s worth, I think Delia Eugenie sounds just fine. Maybe not completely “ideal” if you were just coming up with nice sounding combos in a vacuum, but sometimes it’s more ideal to use the first name and middle name you love even if the flow is only 90% perfect instead of 100% perfect. We’re having the same issue with the name we picked out for our first daughter (if we ever have one) — Clara Anneliese. I’m not so fond of how the “uh” at the end of Clara flows into the “a” in Anneliese. 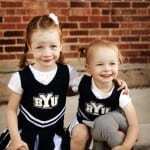 But Clara is our favorite girls’ name, and Anneliese incorporates both our mothers’ middle names, so using them both is more important to me that having perfect flow. My mom said Clara sounds like an old lady’s name, but she eventually came around after hearing me talk about why I love it so much. I’m sure your mom will come around to Delia, too. Love it, although I prefer the longer Cordelia. I’ve always said it as DEEL-YA, partially because dah-LEE-ah’s (spelled slightly differently, but still…) was a car dealership near my hometown. I try to like it but I just can’t. Yesterday’s Cora is far my pleasant in my opinion. For some reason, with this name, I want to ask, “What’s the big delia?” No, I’m not trying to be clever, it’s just a phrase that came to my mind as soon as I saw this name listed. My favourite name-based-on-a-place is still Persis. I pronounce the name DEE-lee-yuh. I’d never considered DEEL-yuh. I meant: any insight into Delia being used as an Irish nickname for Bridget? I have a great great aunt who immigrated here from Ireland. She went by Delia but her name was Bridget. Actually I have two relatives going by Delia in my tree both born around the same time – nearly the turn of the century. I’m guessing that’s because of Bedelia, which is somehow linked to Bridget, which is the quintessential Irish immigrant name. There must be more to the name’s evolution, but I don’t know for sure. Delia is one I should like but can’t. It’s the place I get most of my pants! Delia is all catalogue to me, and then I think “Beetlejuice” (which dates me, I know) but still… nasty Delia there. I just cannot make myself even like Delia as a name for a child. I also doubt a charming little one could break the associations I have and make me like it. Just blah. I would bet that over here in England, most people’s first thought when they hear Delia would be Delia Smith, the famous chef. She’s had loads of books out and has been on TV for 30+ years. She pronounces her name DEEL-ee-yah and I think that’s how most people here would say it! Delia Smith is my first association with the name too. Being an expat, when I want a traditional British recipe I check out her website. I remember my Mum using her books for cooking in the 80s. So I too pronounce the name with three syllables – Dee-lee-uh / Dee-lee-ah. I did think about Delia briefly when we needed a girl’s name in 2005. It didn’t seem ‘exciting’ enough though and I wondered if my family in the UK would find the name too associated with Delia Smith. Thanks, Cleeeo! I don’t really cook, so the chef has to be super famous for me to notice them – or, of course, they have to choose suggest intriguing names that I can’t help pay attention. But Delia seems like a great name for a chef! Hi, I’m a Delia pronounced just as Delia Smith says her name. Dee Lee yah. I love my name. Lastly I don’t know the song ‘Delia’s Gone’ at all. I’ve always adored Delia, which I pronounce as DEE-lee-uh [ˈdiːliːjuː]. I love it as a nickname for Cordelia. Problem is, I recently had a coworker/friend named Delia, pronounced DAY-lee-ah [ˈdeɪliːɑː]. Now I feel like I can’t use it. Update: I only worked with/knew that Delia for four years. While I still do think of her when I see/hear the name, I don’t feel restricted from using it any longer. Cordelia with the short form Delia is now #4 on our list. Oh, and for the record, I don’t know that song at all, but that’s probably because I don’t like Johnny Cash or Bob Dylan.